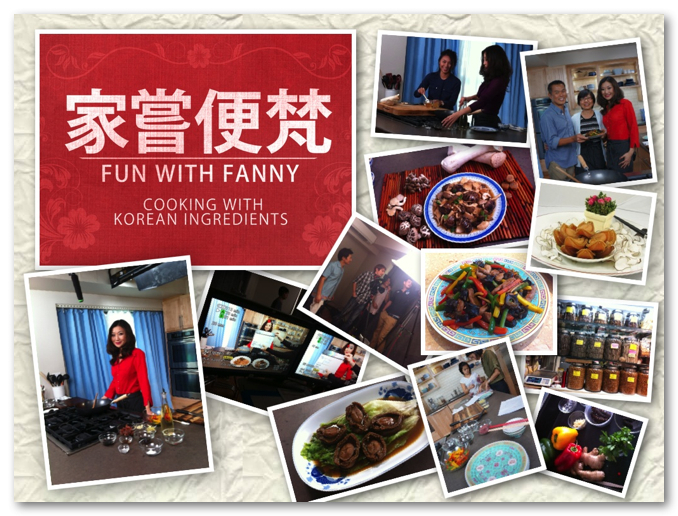 “Fun with Fanny: Cooking with Korean Ingredients” is a tv cooking show in Chinese language (Cantonese) starring New York local personality and popular blogger, Fanny Lawren. The show is designed to inform and inspire the younger generation about using some traditional ingredients such as dried abalone, dried sea cucumber and shitake mushrooms at home. “Dried seafood has always been highly coveted by Chinese home cooks and professional chefs not only as vital flavor builders, but are themselves precious ingredients frequently used in iconic dishes served during celebratory and festive occasions,” explained Wendy Chan of Definity Marketing, New York, the executive producer, consultant of aT Center, New York. Premium grade dried abalone and sea cucumber, also prized for their nutritional benefits, are among the most desirable specialty food to Chinese consumers and rank alongside the most expensive ingredients in the world such as truffles and caviar. Produced by SeeFood Media, and directed by James Beard Award Winner (Video Webcast) Jamie Tiampo, this cooking show series is setting a new high bar for original broadcast quality production carried by local Chinese TV channels. Tiampo is himself a culinary educator, photographer, and a director of International Association of Culinary Professionals (IACP). Sophia Ng at Po Wing Hong, an importer of South Korean sea cucumber and abalone, said at the press conference, “Producing tv content relevant to the local community is important. We are proud to sponsor Fun With Fanny.” The program was broadcasted on Sinovision and TVB in the United States in November 2012. It is now available at Fanny Lawren’s blog.